This is a super easy recipe to make and there’s quite a few ways to make it, the filling is pretty much whatever you wish. I sometimes throw in shredded carrot too just to give it a pop of color. In a baking dish, add a little bit of olive oil. 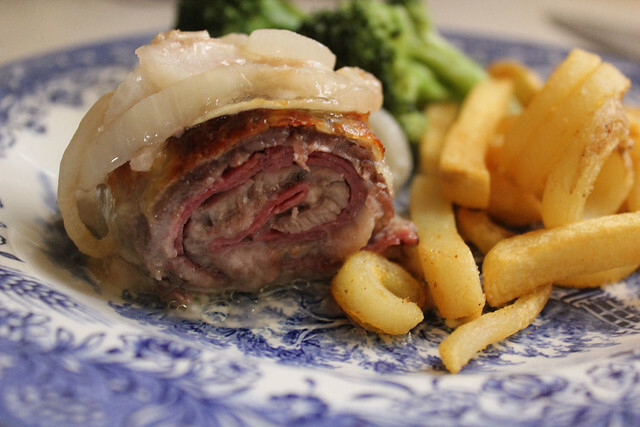 Take the steaks one by one, season with salt and pepper and garlic powder, then add shredded cheese, top with sliced roast beef and roll up carefully. Place in the baking dish. Do the same with the remaining steaks. Sprinkle a little more salt and pepper over the steaks, then top each one with a slice of provolone. Drizzle a little bit of olive oil over each. Add the sliced onions all around and pop into a 400 degree oven. I love soup, I don’t care if it’s winter, fall, summer or spring, it doesn’t stop me and my family from enjoying a good bowl of soup. I wanted to make something different tonight but was really in the mood for a big bowl of chunky soup, so bean soup it is. 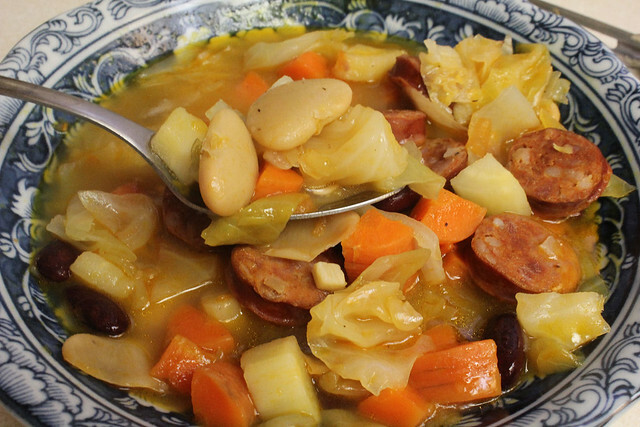 There are many ways of making a Portuguese soup, this is just the way I make it. 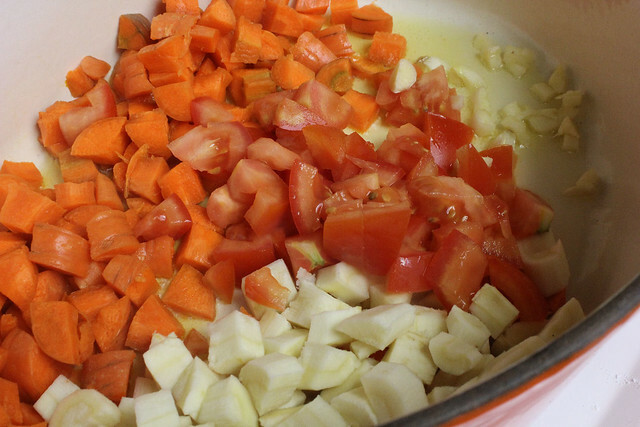 In a big pot, add a little bit of olive oil, the garlic, carrots, parsnips and tomato. Fry for a few minutes until the vegetables are halfway cooked. 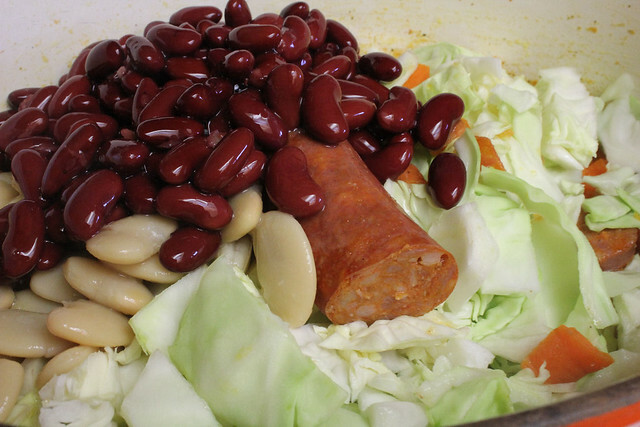 Add the beans, chourico and the cabbage, season with salt and pepper. 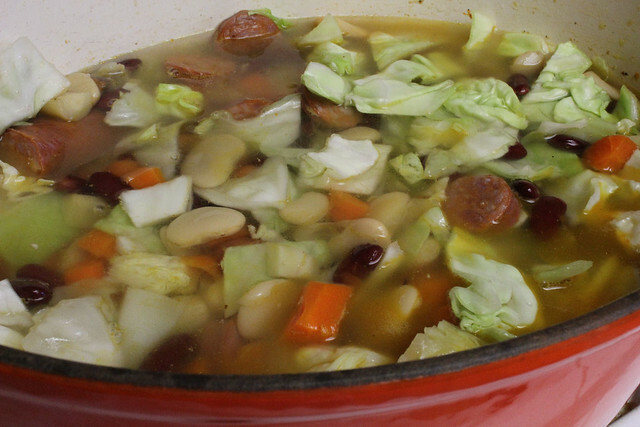 close the lid and set to simmer until the veggies are all cooked to your taste. Check the salt and pepper. 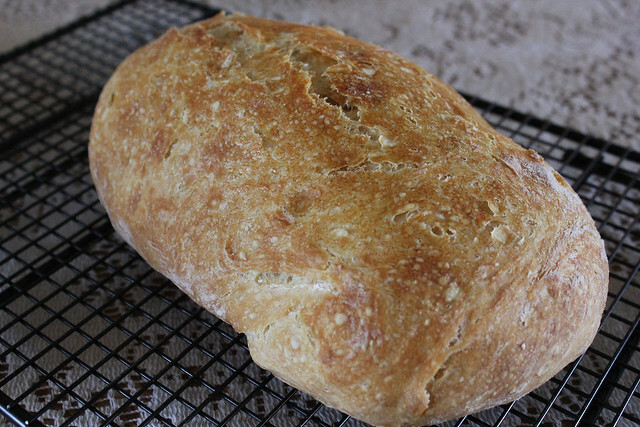 I remember a time when Artisan bread and No Knead bread was a huge thing in blogland, matter of fact you couldn’t visit a single blog without either a recipe being posted or some mention of the bread being made. I will tell you right now that I’m not a baker and matter of fact I’m sure you’ve noticed that unlike most food blogs, mine has 90 % actual food and only a very few sweet/dessert recipes. I do love to bake bread, I think there’s nothing like a slice of fresh bread out of the oven with some butter slathered on, it’s enough to make me weak at the knees. 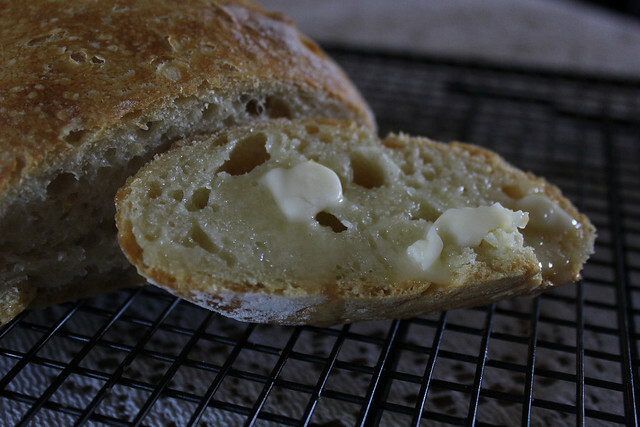 I saved a bunch of these No Knead bread recipes but this is the one I turn to the most, mainly because it’s always turned out well no matter how many times I’ve made it and it’s well above 50 loaves of bread or so. Recipe is from Steamy Kitchen who adapted it from Mark Bittman of NY Times who got it from Sullivan Street Bakery. 1. 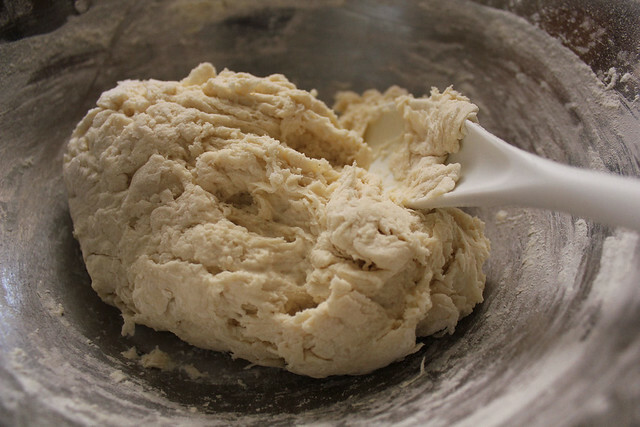 Mix dough: The night before, combine all ingredients in a big bowl with a wooden spoon until the dough just comes together. It will be a shaggy, doughy mess. 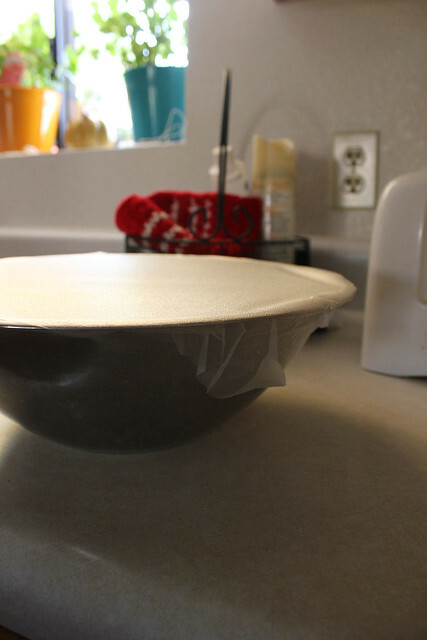 Cover with plastic wrap and let sit 12-20 hours on countertop. 2. 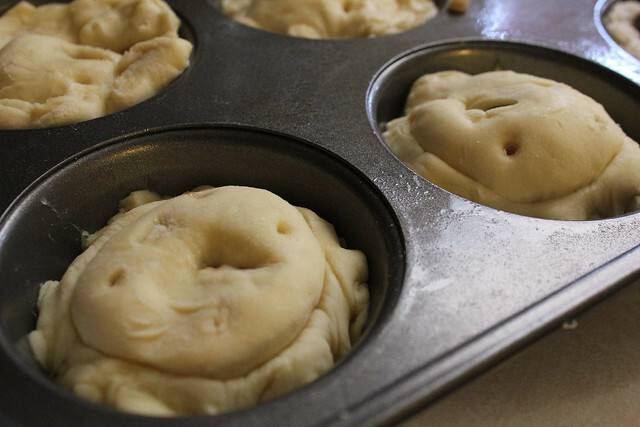 Shape & preheat: The dough will now be wet, sticky and bubbly. 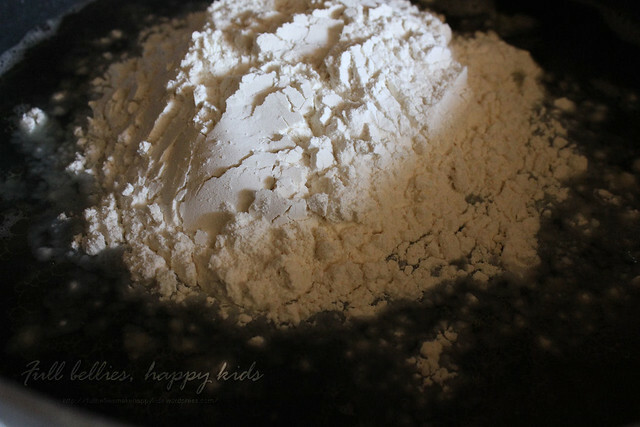 With a wet spatula, dump the dough on a floured surface. 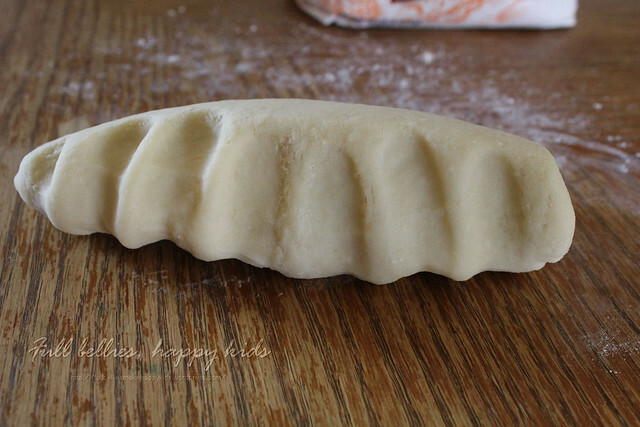 Fold ends of dough over a few times with the spatula and nudge it into a ball shape. You can use your hands if you like, just keep your hands wet so that the dough does not stick. Generously dust a cotton towel (not terrycloth) with flour. Set dough seam side down on top of towel. Fold towel over the dough. Let it nap for 2 hours. When you’ve got about a half hour left, slip your covered pot into the oven and preheat to 450F. 3. Bake: Your dough should have doubled in size. Remove pot from oven. Holding towel, turn over and dump wobbly dough into pot, using your hands to get the dough off the towel. Doesn’t matter which way it lands. Shake to even dough out. Cover. Bake 30 minutes. 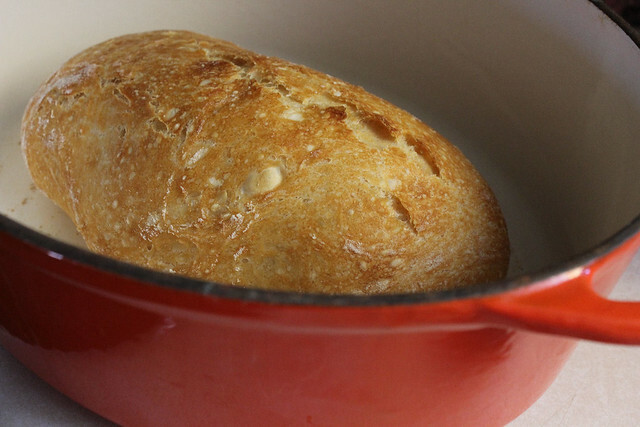 Uncover, bake another 15-20 minutes or until the crust is beautifully golden and middle of loaf is 210F. Remove and let cool on wired rack. If not eating right away, you can re-crisp crust in 350F oven for 10 minutes. Yes I know, another baked spaghetti recipe. I think once you’ve had one, you’ve had them all, but not really. I tend to believe that this one of those recipes that can be adapted and changed and dressed up or dressed down……and since I’m all about sharing my food with my readers, I thought I would come in and give it to you. There’s nothing special about this baked spaghetti, other than the fact that I didn’t use any jarred spaghetti sauce and threw in some provolone and whatnot. 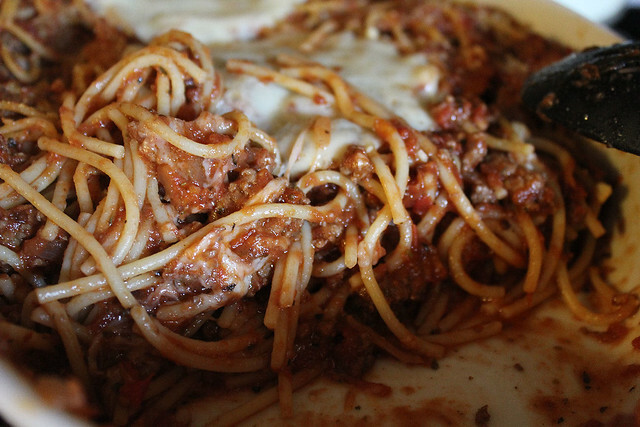 You be the judge, you can either stick to your regular baked spaghetti recipe or try this one, or not, it’s totally up to you, but like I said in the interest of sharing, I felt it needed to be posted. In a skillet, add a little bit of oil, the onion and the garlic. Cook for a few minutes until onion is tender, just don’t burn the garlic. Add the ground beef and brown. Next, add in the can of crushed tomatoes and then add in the spices to taste. I don’t measure anything it’s pretty much just eyeballed. I start by adding in the salt and pepper and the italian seasoning and then I add in a little bit of sugar at a time just until I can taste that it’s cut that bitter taste from the tomatoes and the italian seasoning. Simmer for about 5 to 10 minutes and turn off. Cook the spaghetti according to the package directions, it’s going to bake in the oven for another 20 minutes so you don’t have to cook it too much. 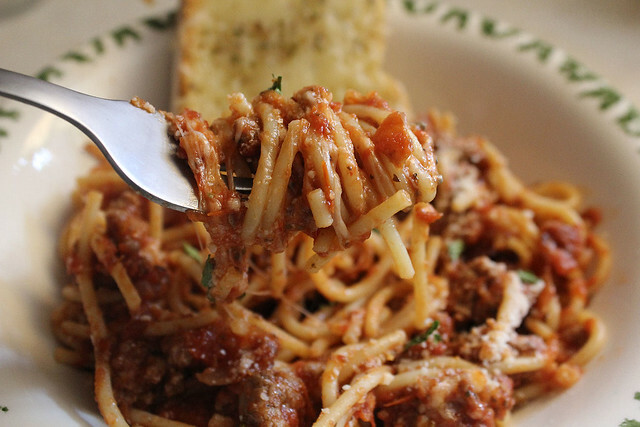 Drain the spaghetti and add it to the meat sauce. 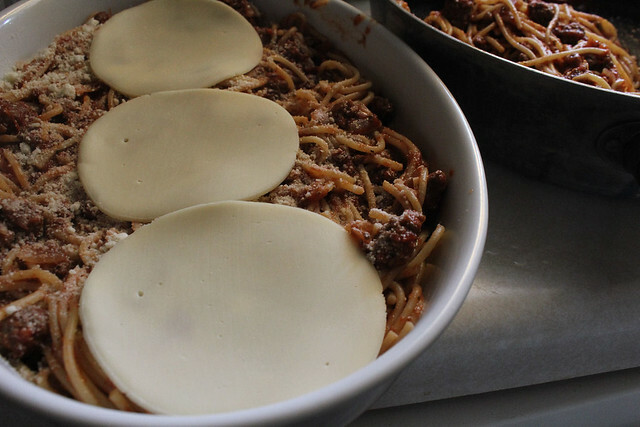 Spray a casserole dish with some nonstick spray, add about half of the spaghetti and meat sauce on the bottom, sprinkle with a good layer of parmesan cheese, then add some provolone cheese slices. 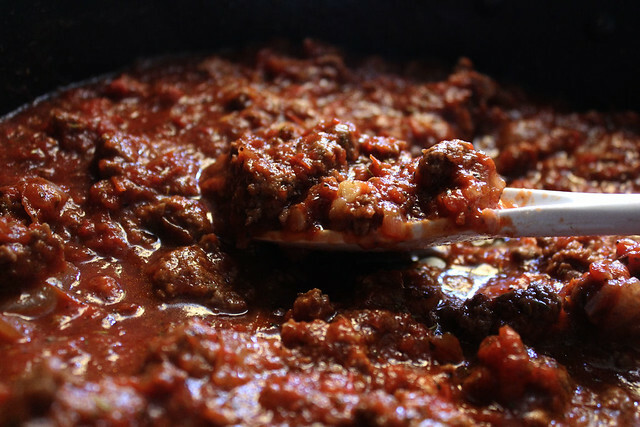 Top with the rest of the spaghetti and meat sauce and end with more parmesan and more provolone. 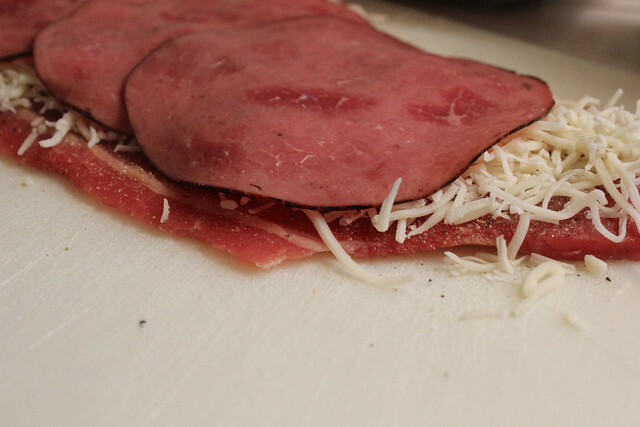 Pop in the oven for 20 minutes or until the cheese is melted. 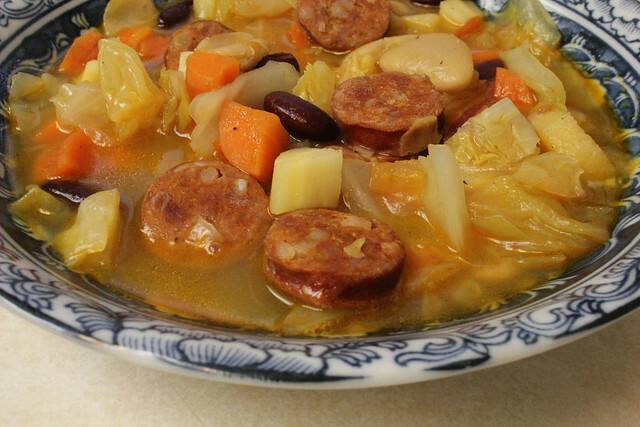 Here’s another Portuguese yummy for you. 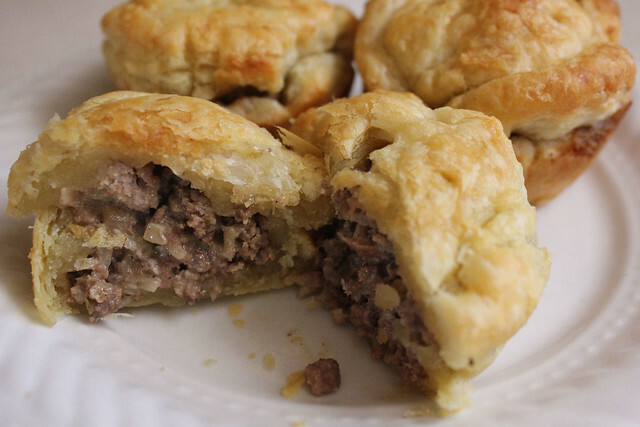 I’m all for shortcuts so I use Frozen Puff Pastry, but, that is nowadays because a few years ago I would make them from scratch and it’s not that they’re difficult to make or time consuming, there’s just days that I need dinner on the table faster than usual. 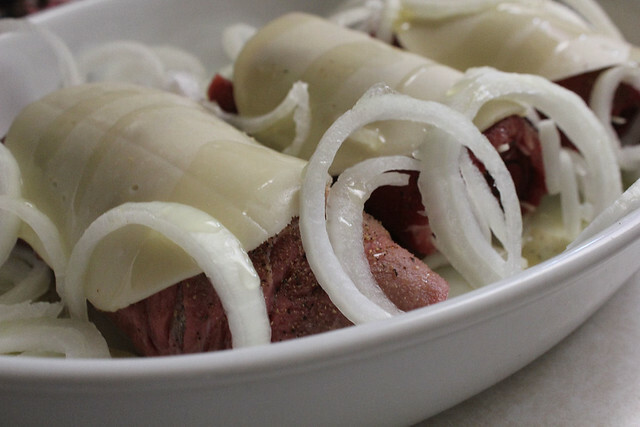 As for the filling, you can use whatever meat filling you like, I just browned some ground beef in a little bit of olive oil, added a little bit of diced onion, some salt, pepper, garlic and then a little bit of heavy cream. That was all. If you have leftover roast, just shredded it and use that. Of course you can use chicken too, just get creative. 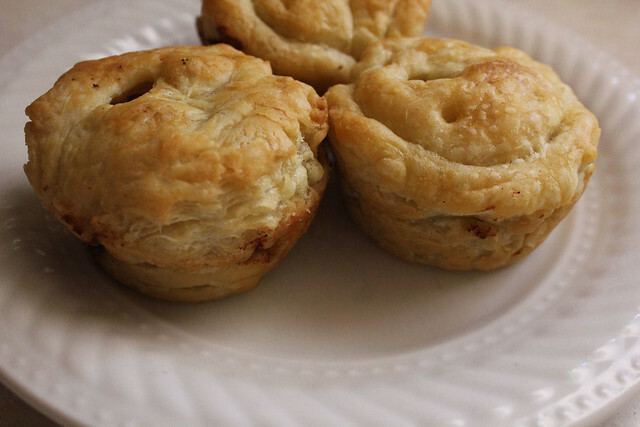 These are not only delicious but the kids love them cause they’re small muffin size little pies. 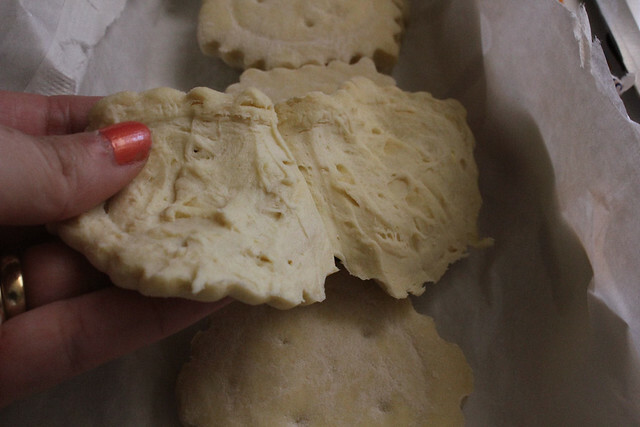 It’s easier to use the puff pastry sheets but all I had were the circles, so I sliced them in half, takes a little of finagling but it works, just be careful not to cut yourself. 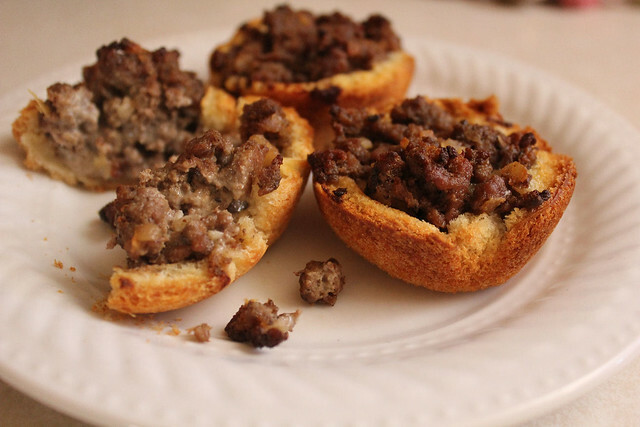 Slide them into greased muffin tins, fill with meat mixture. Take the other half and place it on the top, seal edges. Make a little cut on top for the steam to escape. Bake at 400 degrees for about 20 minutes or until golden brown. 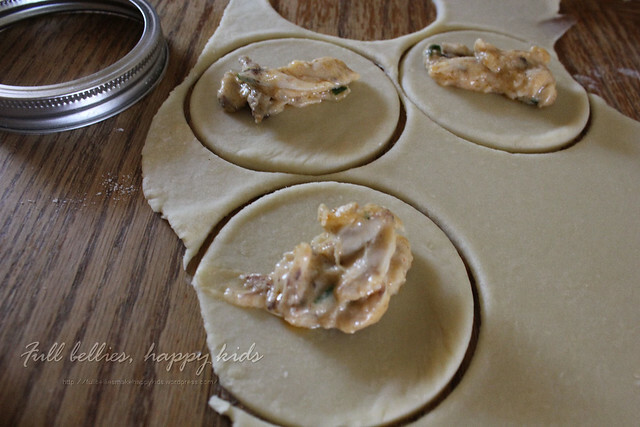 And when you run out of dough, like I did because I didn’t realize I only had one box of puff pastry LOL….you have to improvise. 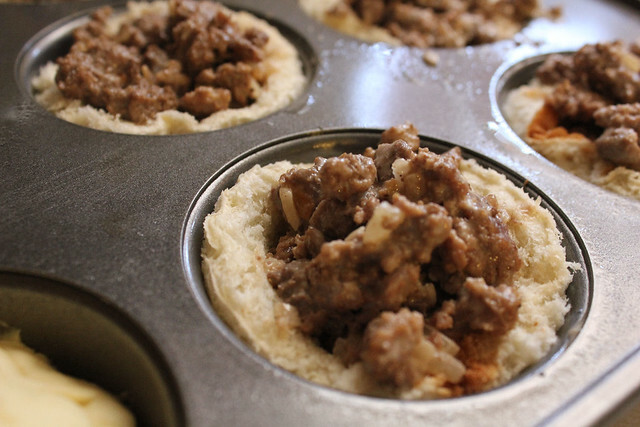 So out came the bread slices, I cut them into circles with a cookie cutter (aka my mason jar lid haha), fit them into the muffin pan and filled them with the meat. They’re still really good that way too. 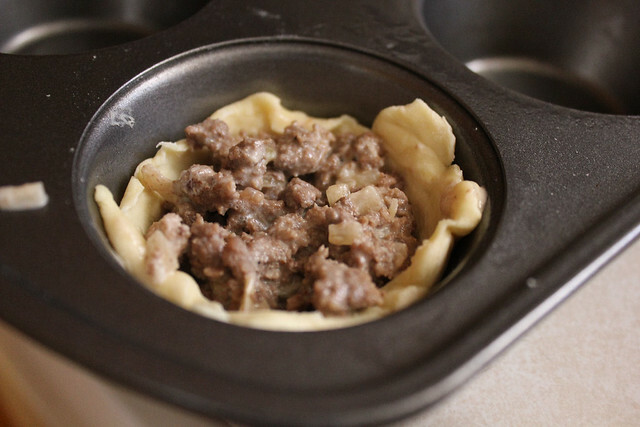 These are so cute too and you can use them as breakfast bowls, just do the same thing with the bread, but add diced cooked bacon, or some sausage, then add some cheese and crack an egg into each slice, season with salt and pepper and bake until cooked. My kids and I love tuna salad, either with potatoes or pasta or lettuce or whatever. 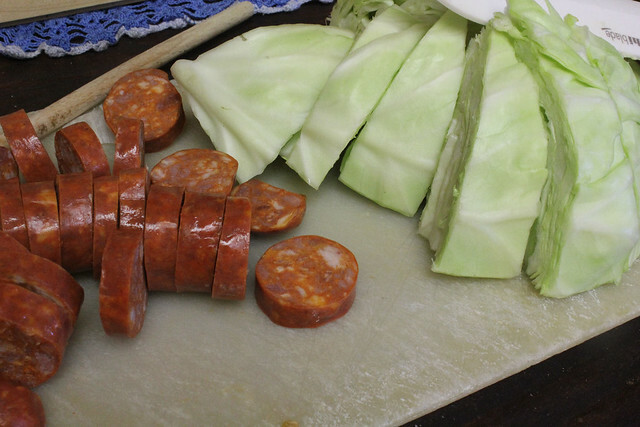 But there is another way that I love preparing it, one that takes me back to my childhood. I can see myself and my 3 brothers sitting at the table eating, laughing or fighting (you know how the sibling thing goes lol). 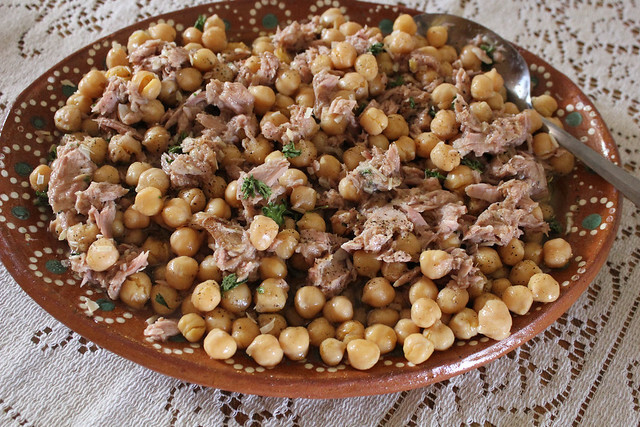 It’s now become one of my own children’s favorite tuna salads to have. 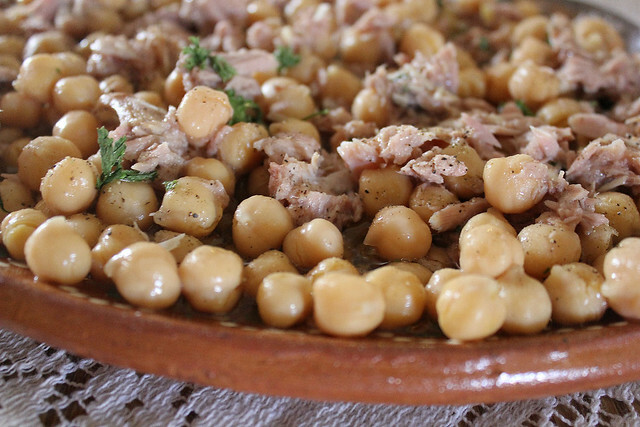 You can make it with Black eyed peas too but I really like the chickpeas or garbanzo beans. There is nothing difficult about this salad, just mix all the ingredients together and serve. 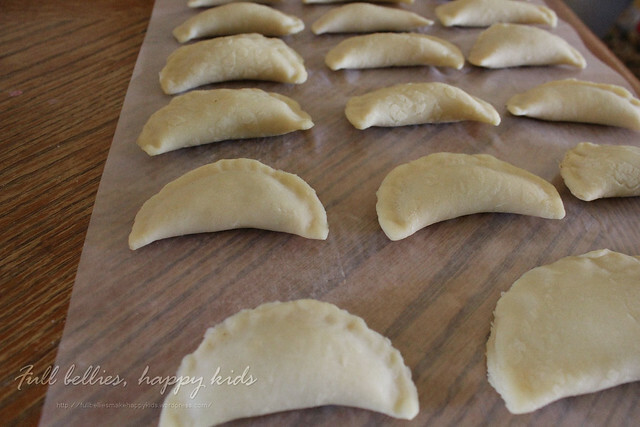 I’ve tried many different dough recipes for Rissois. Some are good, some are just bad and then you find one that you really finally click with and that is what happened when I came across one from Outras Comidas. I think the trick is adding the lemon peel right in the beginning as the water is boiling. I never would have thought to try that and now I understand why the need for it, it really does give it a little something something. 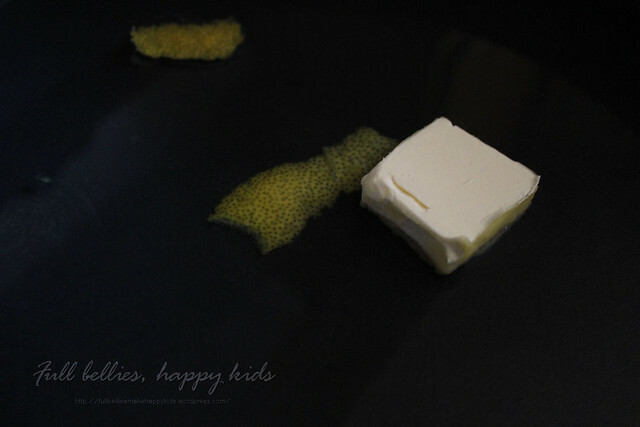 In a pan, add the water, salt, butter and lemon peel. Bring to a boil. Once it starts boiling, remove from the heat, take out the lemon peel and throw out. 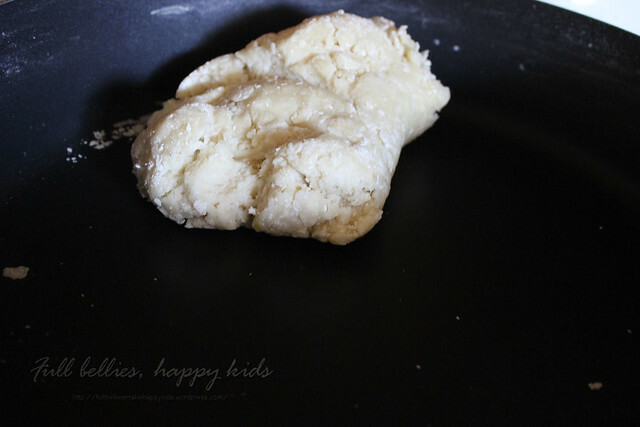 Dump the flour into the pan all at once, stir vigorously to incorporate with a wooden spoon. Return to the heat and continue stirring constantly, within 10 to 15 seconds the flour will be cooked and will begin to unstick from the pan. and knead the dough until smooth and elastic. 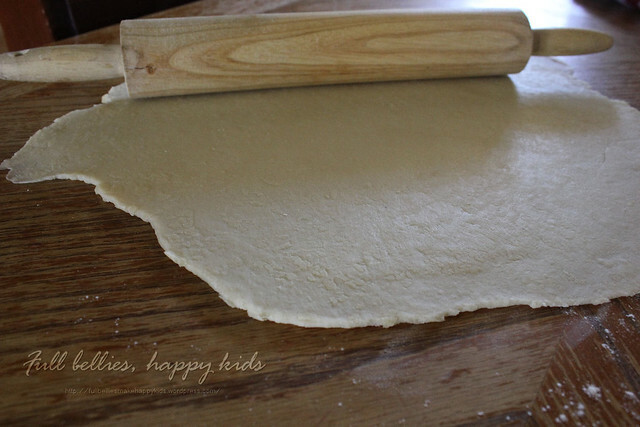 Roll the dough out, you want it pretty thin just don’t tear it. 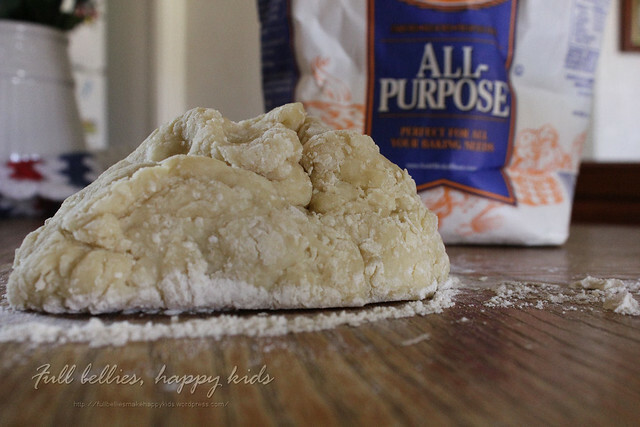 You shouldn’t need any flour if you kneaded it right. I just add a little just to be on the safe side. cut with a circular biscuit cutter or just use whatever you have available, again I went with my mason jar lid. 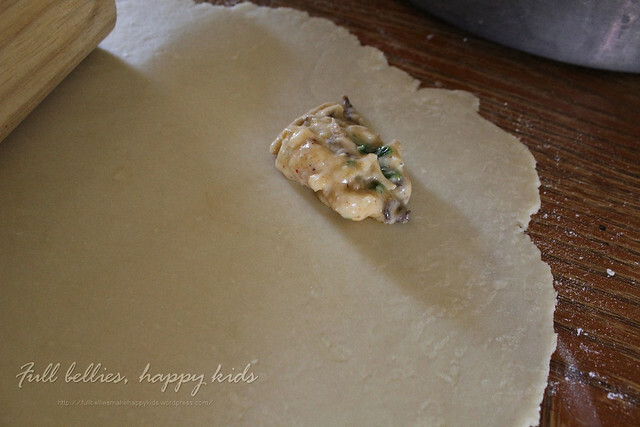 Fold the dough over and pinch sides to seal. For the full recipe including different fillings, you can check out my previous posts Chicken Rissoles and Shrimp Rissoles, keep in mind that I used different dough recipes for those.. 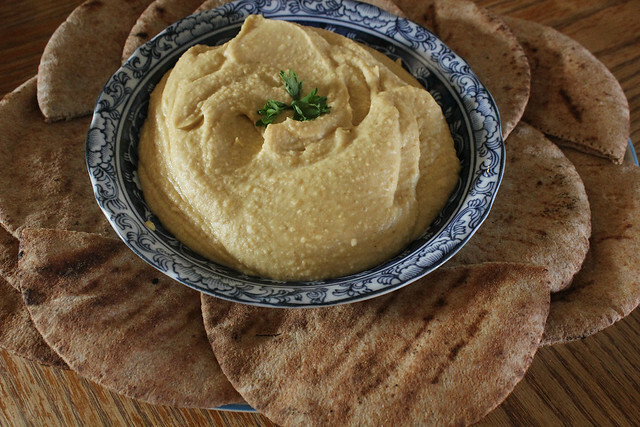 If I ever go to your house, do NOT, I repeat, do NOT offer me any hummus because not only will I become a recluse in a corner with the bowl, but I’ll finish it all up too. I don’t mind buying at the store but I try my best to make whatever I like at home, I think it’s so much healthier for you and you don’t have all those preservatives and chemicals either. This recipe comes from one of my blog readers, she has a really good yummy blog with amazing recipes, especially if you like healthy food and green living. Check out Whole.New.Mom. 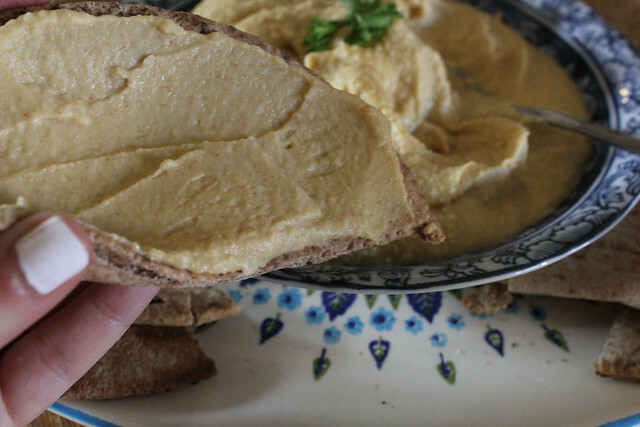 One of the reasons I fell in love with this recipe is because my kids do NOT like tahini at all, so this one was perfect for us. Put all ingredients in a heavy duty blender (aka Vitamix) and/ or food processor and combine until of desired consistency. 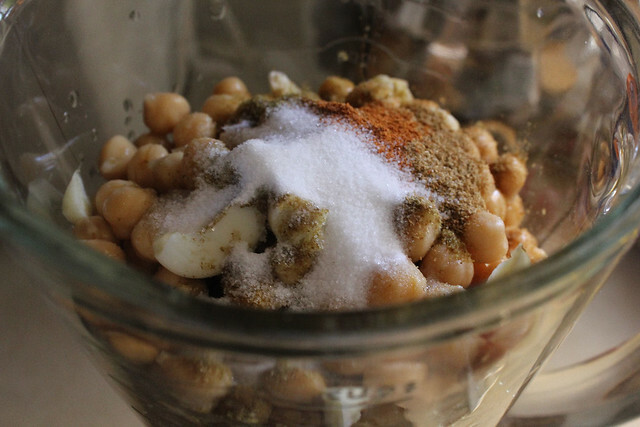 A typical food processor will need approximately 4 minutes to get it really smooth. My Viking Processor takes about 1-2 minutes. Oh, do I love my food processor. Serve with chips, vegetables, Focaccia Flax Bread, or even Seasoned Popcorn. Use your imagination! 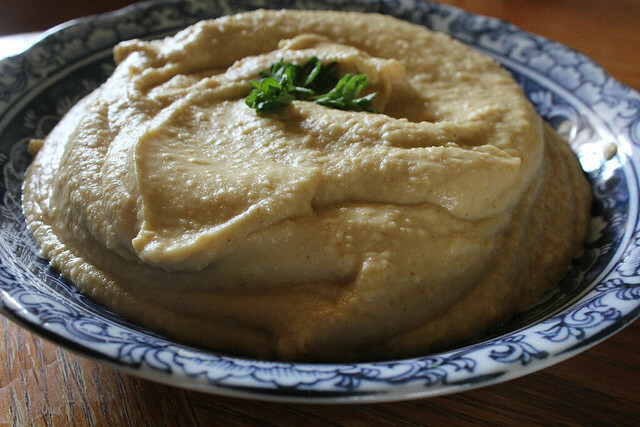 - you may substitute tahini for the olive oil. My eldest has a life-threatening allergy to sesame seeds, so we do not. - fresh ground spices are really worth it. Again, do what you are able to do. 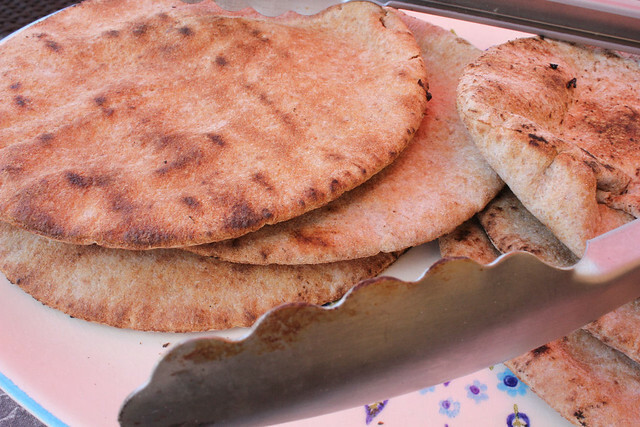 I like to serve mine with Pita bread. Just throw it on the grill for a few minutes, it’s SO good. 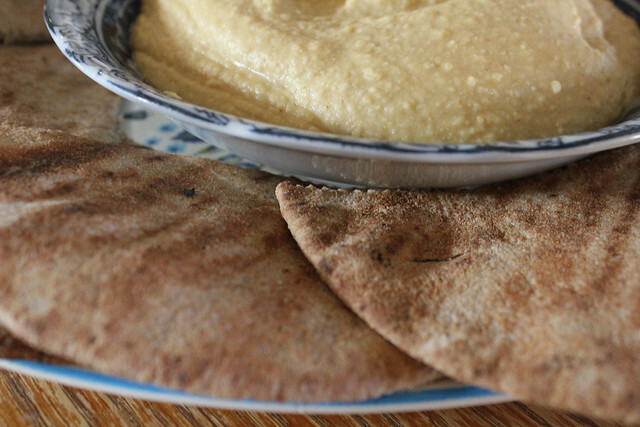 Cut Pita bread in half, slather on some hummus and go to town. YUM!